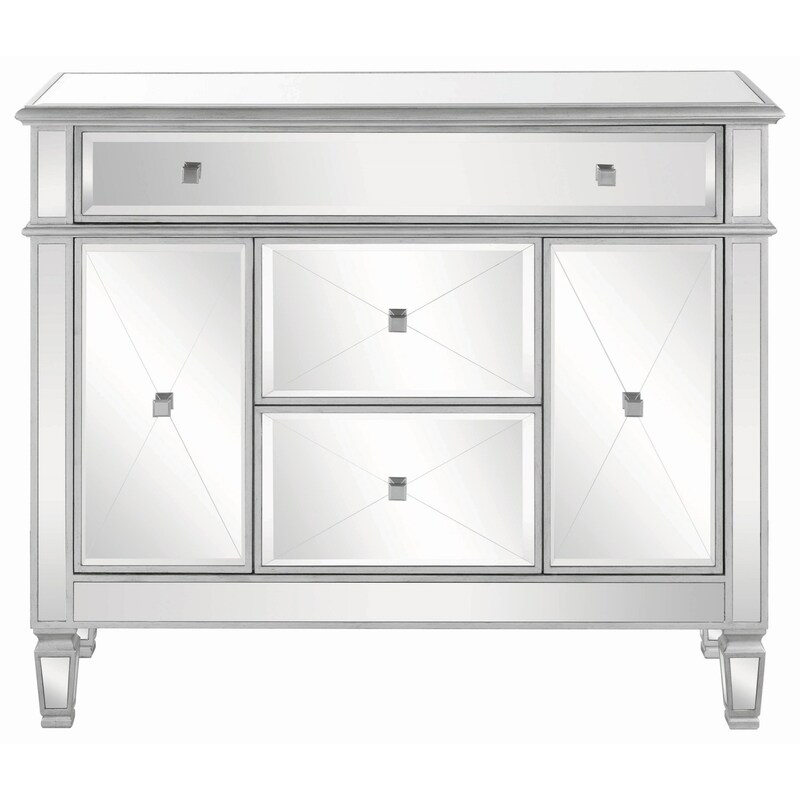 The Contemporary Silver Accent Cabinet creates a dramatic effect in any space with its medium-sized width, mirrored fronts, and silver finish. Add this piece to a modern living room, luxurious master bedroom, or opulent dining room to add dazzling glamour and useful storage. With three drawers and two cabinets, this piece offers versatile and abundant storage to suit any home. The Accent Cabinets Contemporary Silver Accent Cabinet with Mirrored Front by Coaster at Great American Home Store in the Memphis, TN, Southaven, MS area. Product availability may vary. Contact us for the most current availability on this product. The Accent Cabinets collection is a great option if you are looking for furniture in the Memphis, TN, Southaven, MS area.